Our professional development programs quickly develop employees who are inspired, innovating and making an impact. Check out “XAP” for women. 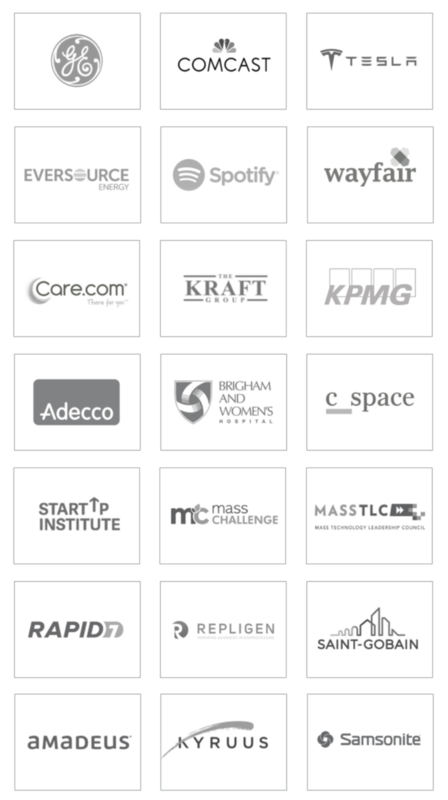 We help companies create a more innovative, engaged and inclusive culture. Our programs and workshops inspire people to develop their innovative mindsets, look at things from new perspectives, and learn practical skills to turn ideas into action. It’s a new playbook that capitalizes on diverse voices to deliver innovative solutions with impactful results. 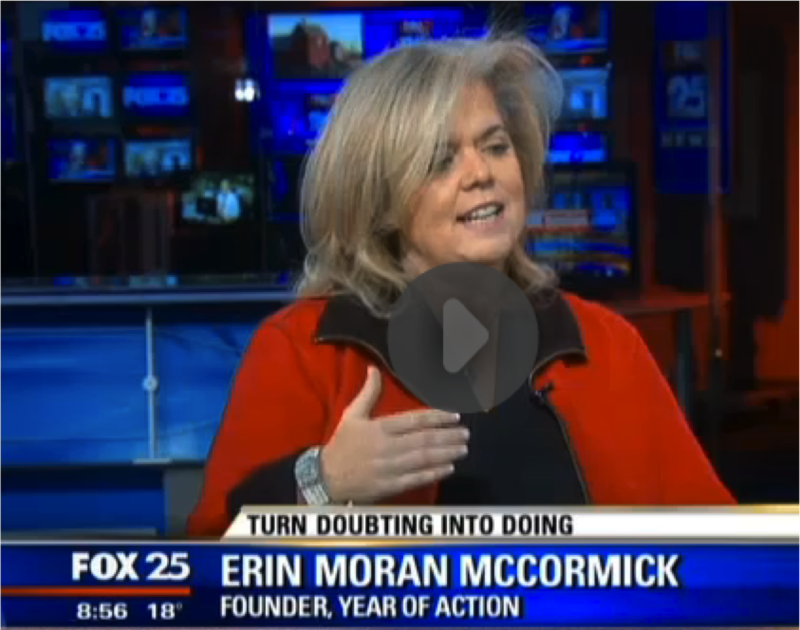 Our CEO, Erin Moran McCormick, was the former Director, Curriculum Innovation and Technology at Babson College, #1 in the world for entrepreneurship education and Director of the Center for Innovation and Entrepreneurship at UMass Boston. 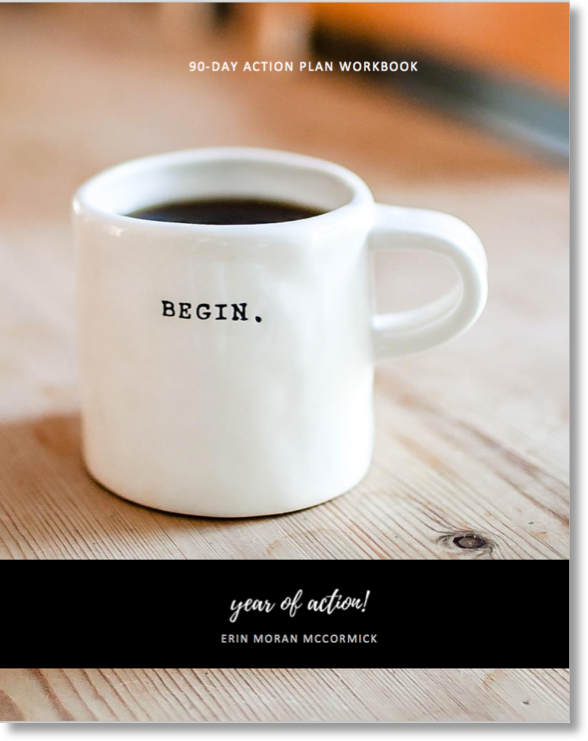 Erin was CIO of two companies, started three companies and is the author of Year of Action and Launching Your Life. 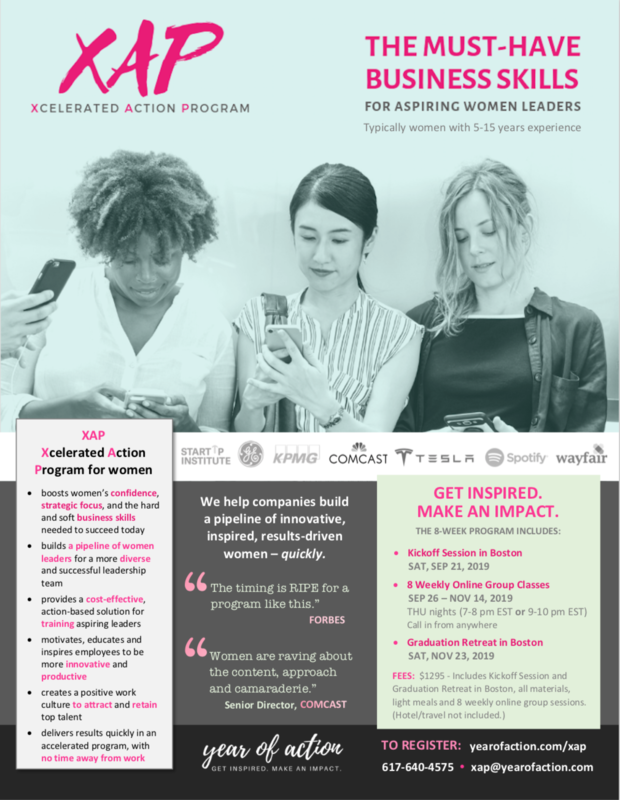 XAP – Xcelerated Action Program boosts women’s confidence, strategic focus, innovative mindset and key business skills, with NO time away from work. REGISTER NOW FOR NEXT SESSION! Feel more confident, focused and fearless – with the must-have business skills to succeed in today’s innovation economy. with NO time away from work. Way to go! Check your email to confirm and we'll send you the Meeting Cheat Sheet.